PUEBLO, Colo. – Derek Kolbaba knows the clock is ticking for him to make a move up the world standings if he hopes to stay inside the Top 35 and on the Unleash The Beast. Kolbaba heads into this weekend's Neighborhood Ford Store Challenge Pendleton Whisky Velocity Tour event in Wheeling, West Virginia, hanging onto the No. 35 ranking in the world standings. The five-time PBR World Finals qualifier leads No. 36 Marcus Mast by a mere 10 points in the standings. However, things could be much worse. Kolbaba could easily have been ranked No. 81 if not for his WCRA Windy City Roundup victory in Chicago. He picked up 207.5 points toward the PBR world standings in Chicago, in addition to a massive payday. In fact, Kolbaba only has to look at his bank account to remember how much of a fan he is of the World Champions Rodeo Alliance (WCRA). Kolbaba has won $125,675.91 at the last two WCRA events in which he has competed. The Walla Walla, Washington, bull rider won $58,000 last summer when he rode SweetPro’s Bruiser for 89 points at the Days of ’47 Cowboy Games & Rodeo, and took home another $67,675.91 in January when he won the Windy City Roundup in Chicago with 83 points on Reign Lashes Testified. Overall, Kolbaba went 4-for-4 at the two events and earned $31,418.98 per qualified ride. Kolbaba’s victory in Chicago netted him an automatic bid to the next $1 million WCRA rodeo – The Titletown Stampede on June 1. The one-day rodeo takes place at the Resch Center in between the PBR’s Unleash The Beast Green Bay Invitational. Kolbaba is just 4-for-20 on the Unleash The Beast in nine events, and he is well aware of how much work he has to do to remain on the PBR’s premier series. He is one of 11 Top 35 riders slated to compete in Wheeling this weekend. One rider can earn a maximum of 270 points in Wheeling with two long round victories (50 points each) and the event average (170 points). Also riding in Wheeling is No. 10 Ezekiel Mitchell, No. 11 Alisson de Souza, No. 16 Rubens Barbosa, No. 17 Silvano Alves, No. 21 Danilo Carlos Sobrinho, No. 25 Scottie Knapp, No. 26 Eduardo Aparecido, No. 30 Dylan Smith, No. 31 Stormy Wing and No. 34 Sean Willingham. Kolbaba takes on Force Awaken (22-10, all levels) in Round 1. He rode Force Awaken for 85.25 points at Iron Cowboy in Los Angeles last month. Fans can watch all of the action exclusively on RidePass, beginning at 8 p.m. ET on Friday and 7 p.m. ET on Saturday. The addition of more world points on the Velocity Tour and at international events in 2019 has created week-to-week movement within the Top 35. 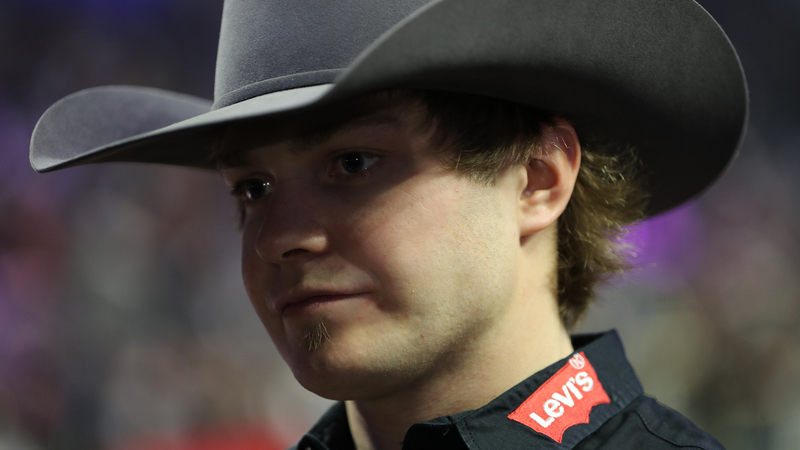 Sixteen riders below Kolbaba are within 100 points of him in the world standings, and 100 points for Kolbaba would push him back within one spot of the Top 20. Kolbaba says the change in points in this year does not bother him. He just knows he needs to get the job done. “I don’t really care,” Kolbaba said “There is still more points to be won (on the Unleash The Beast). You have to just do your job. That shows with the top guys. The guys that are riding, they aren’t worried about who the hell is winning anything down there. Two years ago Kolbaba began the 2017 World Finals as the No. 1 bull rider in the world. This weekend he is fighting for his Top 35 spot. “That is the way this whole bull riding thing works,” Kolbaba said. “Look at guys like Silvano (Alves). He won three world titles and for a while nobody was talking about him. That is how the sport is. It is a cutthroat deal.